(anon). Piedmont Lineages. The Quarterly Journal of The Virginia-North Carolina Piedmont Genealogical Society. Volume XXIII. Number 2. Danville. The Quarterly Journal of The Virginia-North Carolina Piedmont Genealogical Society May, 2001. 4to. Soft cover. First edition. Fine copy. (anon). Piedmont Lineages. The Quarterly Journal of The Virginia-North Carolina Piedmont Genealogical Society. Volume XXIII. Number 3. Danville. The Quarterly Journal of The Virginia-North Carolina Piedmont Genealogical Society August, 2001. 4to. Soft cover. First edition. Fine copy. (anon). Piedmont Lineages. The Quarterly Journal of The Virginia-North Carolina Piedmont Genealogical Society. Volume XXIII. Number 4. Danville. The Quarterly Journal of The Virginia-North Carolina Piedmont Genealogical Society November, 2001. 4to. Soft cover. First edition. Fine copy. (anon). Piedmont Lineages. The Quarterly Journal of The Virginia-North Carolina Piedmont Genealogical Society. Volume XXIII. Number I. Danville. The Quarterly Journal of The Virginia-North Carolina Piedmont Genealogical Society February, 2001. 4to. Soft cover. First edition. Fine copy. (anon). Piedmont Lineages. The Quarterly Journal of The Virginia-North Carolina Piedmont Genealogical Society. Volume XXIV, Number 2. Danville. 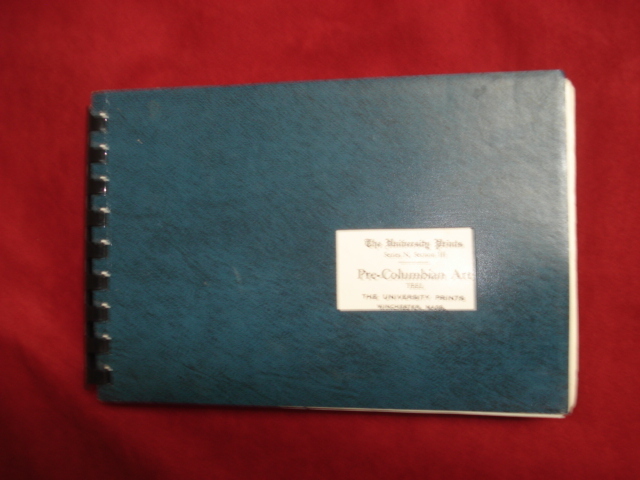 The Quarterly Journal of The Virginia-North Carolina Piedmont Genealogical Society May, 2002. 4to. Soft cover. First edition. Fine copy. (anon). Piedmont Lineages. The Quarterly Journal of The Virginia-North Carolina Piedmont Genealogical Society. Volume XXIV. Number 1. Danville. The Quarterly Journal of The Virginia-North Carolina Piedmont Genealogical Society February, 2002. 4to. Soft cover. First edition. Fine copy. (anon). Piedmont Lineages. The Quarterly Journal of The Virginia-North Carolina Piedmont Genealogical Society. Volume XXIV. Number 3. Danville. The Quarterly Journal of The Virginia-North Carolina Piedmont Genealogical Society August, 2002. 4to. Soft cover. First edition. Fine copy. (anon). Piedmont Lineages. The Quarterly Journal of The Virginia-North Carolina Piedmont Genealogical Society. Volume XXIV. Number 4. Danville. The Quarterly Journal of The Virginia-North Carolina Piedmont Genealogical Society November, 2002. 4to. Soft cover. First edition. Fine copy. (anon). Piedmont Lineages. The Quarterly Journal of The Virginia-North Carolina Piedmont Genealogical Society. Volume XXV. Number 4. Danville. The Quarterly Journal of The Virginia-North Carolina Piedmont Genealogical Society November, 2003. 4to. Soft cover. First edition. Near fine copy (very light shelf wear). (anon). Piedmont Lineages. The Quarterly Journal of The Virginia-North Carolina Piedmont Genealogical Society. Volume XXVI. Number 1. Danville. The Quarterly Journal of The Virginia-North Carolina Piedmont Genealogical Society February, 2004. 4to. Soft cover. First edition. Fine copy. (anon). Piedmont Lineages. The Quarterly Journal of The Virginia-North Carolina Piedmont Genealogical Society. Volume XXVII, Number 2. Danville. The Quarterly Journal of The Virginia-North Carolina Piedmont Genealogical Society May, 2005. 4to. Soft cover. First edition. Fine copy. (anon). Piedmont Lineages. The Quarterly Journal of The Virginia-North Carolina Piedmont Genealogical Society. Volume XXVII, Number 3. Danville. The Quarterly Journal of The Virginia-North Carolina Piedmont Genealogical Society August, 2005. 4to. Soft cover. First edition. Fine copy. (anon). Piedmont Lineages. The Quarterly Journal of The Virginia-North Carolina Piedmont Genealogical Society. Volume XXVII, Number I. Danville. The Quarterly Journal of The Virginia-North Carolina Piedmont Genealogical Society February, 2005. 4to. Soft cover. First edition. Fine copy. (anon). Piedmont Lineages. The Quarterly Journal of The Virginia-North Carolina Piedmont Genealogical Society. Volume XXVIII, Number 1. Danville. The Quarterly Journal of The Virginia-North Carolina Piedmont Genealogical Society February, 2006. 4to. Soft cover. First edition. Fine copy. (anon). Pioneers of Alaska Cook Book. Pioneer Auxiliary No. 4. Photo available. Olathe. Cookbook Publishers. 1990. Octavo. Spiral bound. Reprint. Illustrated. Fine copy. (anon). POM Wonderful. Press Kit. 2006. Pomegranates. Photo available. Los Angeles. POM Wonderful. 2006. 4to. Soft cover. First edition. Illustrated in black, white and color. Near fine copy (very light shelf wear). (anon). Postage Stamp. First day of issue. Abraham Lincoln. 4 cent stamp. Postmarked 9:00 a.m. Nov. 19. 1960. np. np. 1960. 12mo. Mounted on card with profile of Lincoln and American Eagle. Fine condition. (anon). Power. Columbia Basin Project. Grand Coulee Dam. Washington. United States Department of the Interior. nd. c. 1940s. 8 pps. Octavo. Soft cover. First edition. Fine copy. (anon). Practical Wood Finishing Methods. Pittsburgh. Rockwell. 1978. 121 pps. Octavo. Decorated hard cover. Illustrated. Fine copy. (anon). Praise and Worship for Guitar. 45 Wondrous Songs Including As the Deer, Great is the Lord, Lord, I Lift Your Name on High, On Eagle's Wings, and We Worship and Adore You. Milwaukee. Hal-Leonard. nd. 4to. Soft cover. First edition. Fine copy. (anon). Pravoslavnaya Vera. Doroga k Hramu. Orthodox Faith. The Road to the Temple. Photo available. Leningrad. 2002. 319 pps. 4to. Decorated hard cover. First edition. Illustrated in black, white and color. Important reference work. Very scarce. Fine copy. (anon). Pre-Columbian Art. The University Prints. Series N, Section III. Photo available. Winchester. University Prints. 1988. Octavo. Spiral bound. First edition. Illustrated. Fine copy. (anon). President F.W. de Klerk. First Year in Office. Washington. South African Embassy. Octavo. Soft cover. First edition. Illustrated in black, white and color. Fine copy. (anon). 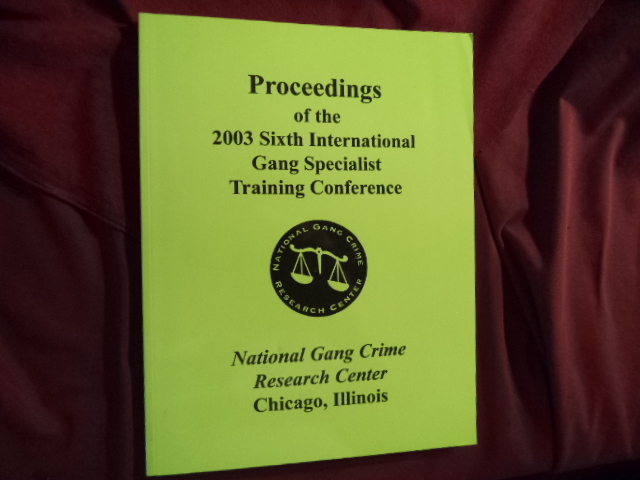 Proceedings of the 2003 Sixth International Gang Specialist Training Conference. Photo available. Chicago. Peotone. National Gang Crime Research Center. 2003. 4to. Soft cover. First edition. Illustrated. Fine copy. (anon). Processed Data from the San Juan Bautista 101/156 Separation Bridge and the San Juan Bautista Freefield Records from the Coyote Lake Earthquake, 6 August, 1979. Special Publication 64. Washington. United States Department of the Interior. 1983. 4to. Soft cover. First edition. Illustrated. Fine copy.